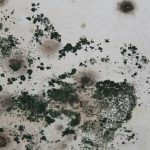 When homeowners talk about mold problem, they usually think about dark molds, such as black or green mold. White mold often does not receive the same attention, especially since this mold visually resembles harmless structural phenomena called efflorescence (more on that later). However, serious health risks must still be concerns if you find white mold at home. 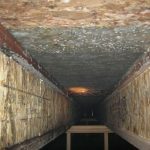 Telling the Difference: White Mold or Efflorescence? 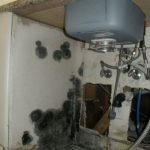 How to Get Rid of White Mold? 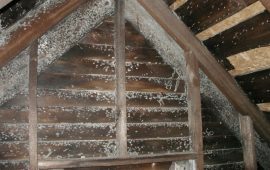 When it comes to buildings, the term “white mold” can apply to various mold types, from Penicillium, Aspergillus, to Cladosporium. This is because many types of mold actually have a period when they sport white color, so it is hard to distinguish them with naked eyes. 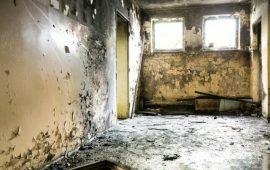 There is no specific name for white mold in a building; it can pose serious risks if there is no effort to prevent its growth. White mold commonly looks like bright, fluff-like spots that spread on numbers of surfaces, from plants to wood and even bread. When seeing under the microscope, the body of the mold will look like filaments. They can appear as numerous white spots or blots, or even small fibers when the growth is uncontrollable. 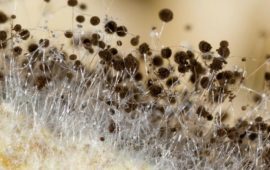 There are various types of dark mold that actually appear white before they release spores. If such mold appears in your house, the growth may turn darker during the time. When you see white spots on the surface of certain materials, such as concrete or stone, they are not always mold. Many old buildings with prominent concrete, brick, or stone parts often show signs of efflorescence. This is a term for crystalline salt deposit that is commonly found in masonry structures. Efflorescence happens when water slowly goes through the inner structures of the materials. When it goes out, it also takes some amount of salt from inside the structures. This usually happens after many years, and results in white spots that look like white mold. To tell the difference between white mold and efflorescence, you can try spraying the white spots with water. If the white spots disappear, they may be just efflorescence. White mold also emits a typical musty odor, while efflorescence does not smell. Also, efflorescence only occurs on masonry surfaces, and never on wood. 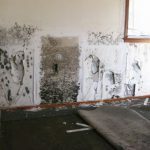 When it comes to mold in the house, people usually pay more attention to black mold than white mold, due to the belief that black mold is the “toxic” one. However, white mold can still be source allergen for susceptible people. Long exposure can also be dangerous, especially if a person has fragile health or from vulnerable age group, such as the elderly or babies. People with existing respiratory conditions, such as asthma or pneumonia, are also susceptible to any kind of mold at home. For these people, white mold poses the same health risk with any other mold types. Also, if you let white mold to release pores, the health hazards will be the same with other types of mold. Signs of eye irritation (redness, teary eyes, itchiness). Allergic reactions (blocked nose, rashes, fever, sneezing). If these symptoms continue even after taking medications, you must start getting suspicious about the possibility of mold growth at home. When you see white spots on wood, they are almost certainly white mold, since efflorescence cannot appear on wood. 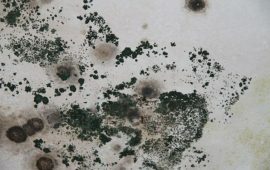 The mold usually appears first as small, dust-like white spots. 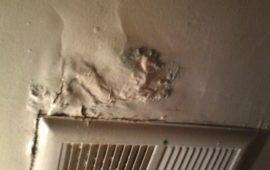 If you let the mold grows, it can become bigger white blotches, and even into fiber-like component (if the mold colony grows too large). White mold may grow on wood due to various causes, from humidity to leakage problem. Wood is one of white mold’s favorite habitats, just like its outdoor counterpart. The appearance of white mold on wood can reduce the aesthetic and spread health risk. In the outdoor, white mold is a common name of Sclerotinia sclerotiorum, a type of parasitic fungi that attack plants. 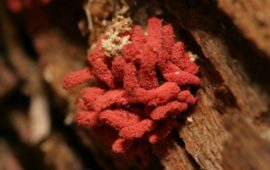 This mold has been known to attack more than 360 species of plants, including vegetables and garden flowers. White mold can appear on various parts of the plants, such as leaves, stalks, pods, or blossoms. The first sign of white mold infection is often hard to see with naked eyes. The plants may look alright, but the stalks may look a little like soaked (even if there is no rain or watering session). There are also wilted parts on stems, and you may also see a little discoloration or tan lesions on them. 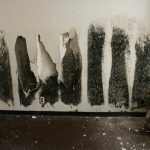 Finally, fiber-like mold will grow from these dark discolorations. White mold on plants requires hard work to remove. Farmers or garden owners must remove the infected plants and replace the soil. Sometimes, the infected soil may have to be covered or separated to prevent further infestation, such as with mulch or plastic. Basement is one of the most ideal habitats for white mold. 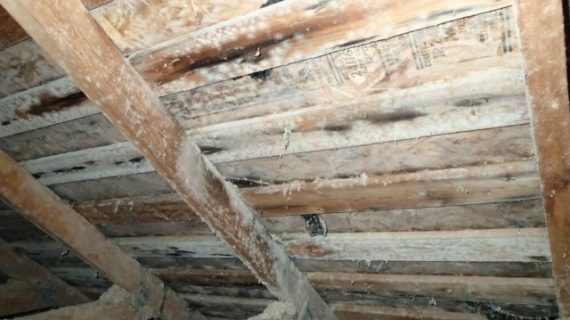 Darkness, humidity, and warm temperature are characteristics that white mold loves. Also, since the basement is dark, the growth of white mold is often unseen until it reaches a serious level of infestation. 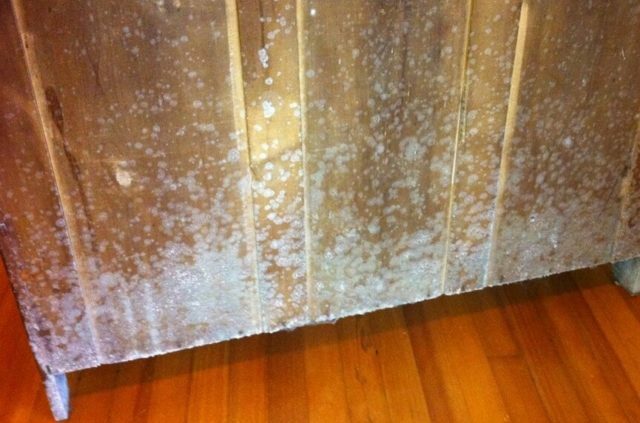 If you often do your laundry in the basement, or store a lot of wet objects, the white mold may grow on certain spots. The growth can happen in hidden places, such as behind furniture item or in the corner of the floor. This is why homeowners must invest in proper basement management to prevent mold from growing. Previously, we have found that salt deposit or efflorescence is a common occurrence on concrete, and it is often hard to distinguish from a mold. However, you should not neglect the risk of mold growth. Efflorescence is caused by moisture that carries salt from inside the concrete structure. Therefore, efflorescence is an indication of moisture problems, which can lead to actual mold growth. Also, even though the white deposit on your concrete is a salt deposit and not mold, it can still bring problems. The presence of efflorescence is often a sign of high acidity level in the soil. It can lead to slow corrosion on your concrete. Whether it is the salt deposit or white mold, it is just the same, because they can damage your property and lower its market value. White mold is usually quite harmless for healthy people, and it is easier to remove than dark mold, especially if does not release spores yet. If fabric like upholstery and curtains have light white mold problems, vacuum it first and immediately throw out the vacuum content. 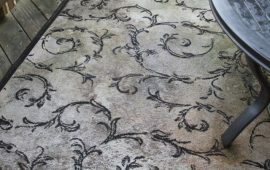 Wipe the mold stain with a mix between a cup of warm water and a cup of rubbing alcohol. Wipe again the second time with a wet sponge. Do not rinse, but dry the objects immediately. 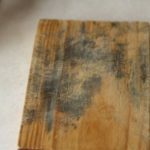 Remove the first signs of mold as soon as you see them. Mix a cup of bleach with a gallon of water. Apply the solution with a brush before waiting for 15-20 minutes. Rinse the cleaned part with water and dry it quickly (use an electric fan to help the drying process). The mixture of bleach and water may be too harsh for wood, especially soft wood. Instead, vacuum the surface first, preferably using a soft brush. Throw out the vacuum bag content. Mix dishwashing detergent with water, and use it to wipe the surface, before repeating the process with a wet sponge. If you worry about warping on the wood surface, you can prevent it by drying the wood surface quickly. Use paste wax to protect the wood surface and make it shine again. For washable objects like bathroom products, you can brush the mold using a stiff wet brush. Dry them under the sun, and then soak them in water mixed with non-chlorine bleach. Wait for thirty minutes before you rinse and wash them like usual. When trying all these methods, remember to wear gloves. Always throw away all the things you use to clean the objects, such as the sponge, cleaning towel, and brush. Check all the suspicious spots to see if there are moisture or leakage problems, because they are the root of mold problems. If mold comes back even after vigorous cleaning, you need to do throw away or replace the objects. White mold can cause various problems on a building structure, furniture, plants, and health, especially when it starts to release pores. Never neglect the early signs of mold problems, and do removal steps as soon as possible to avoid infestation.